It’s easy for one to become immersed by the contemporary movement, particularly when it comes to the subject of interior kitchen design and décor. Contemporary style focuses on “in the now,” while still incorporating traditional ideas for a sleek, but accommodating feel. To reach such an ideal, there are must-have elements that are essential for a contemporary kitchen. Flooring is the foundation of the room, both literally and decoratively. Natural stone tile, such as marble, is a common choice for kitchen floors. It provides a high-gloss, sophisticated, and modern look. Consult with a tile flooring professional like Marmol to guide you in the right direction when it comes to color and the overall look you are trying to fashion. Be bold – Break away from traditional dark interiors and dim light. Instead, create an open-airy feel to the room. Unleash the curtains in your kitchen to reveal natural light. Install skylights or ceiling lighting for a cheerful yet, contemporary appearance. Sleek countertops such as granite and marble are a must in a contemporary kitchen. It is essential to create an overall look of vibrant accents. Make sure to include contemporary style bar stools, chairs and dining tables. Uniquely designed stainless steel faucets will complement and add an unmissable value to your contemporary kitchen. Cabinets that convey a contemporary look are generally white, dark brown, black or a natural wood color. 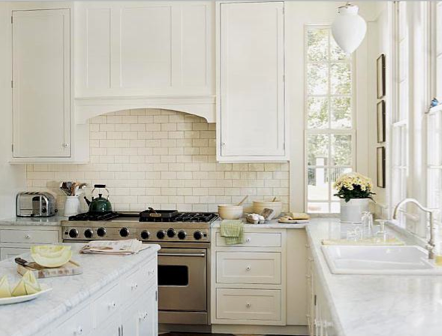 It’s necessary to find a backsplash that will complement the cabinet color and design. Common backsplashes are metallic, marble and natural stone. You can choose to create a variety of designs using different color natural stone tiles or choose a pre-manufactured backsplash that has a unique design or pattern. 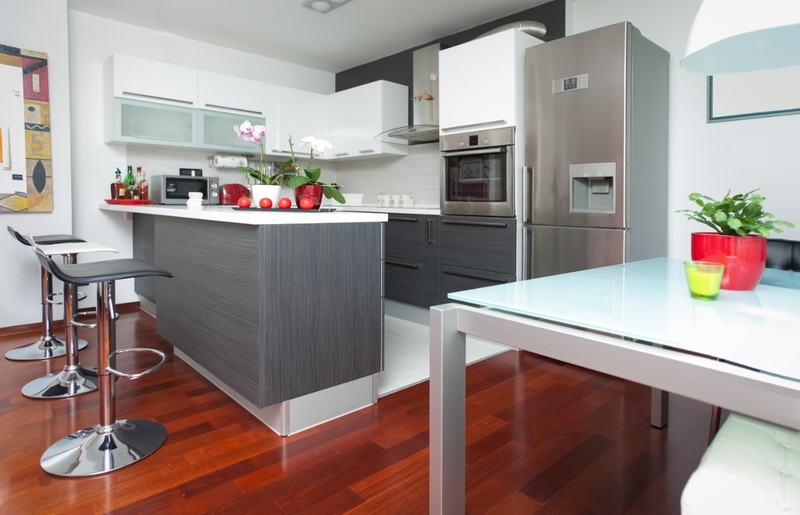 Stainless steel appliances such as the refrigerator, microwave, stove, oven and dishwasher are essential pieces for creating a uniform contemporary look that easily accents with all other modern aspects of your kitchen. Focus on the detail of the backsplash when adding depth. Boost the appeal to your contemporary kitchen by adding vibrant colored accents such as a lime green fruit bowl to your counter top. These must-have essentials will have your kitchen looking contemporary and unique. Granite countertops really make a beautiful statement in kitchens and bathrooms. 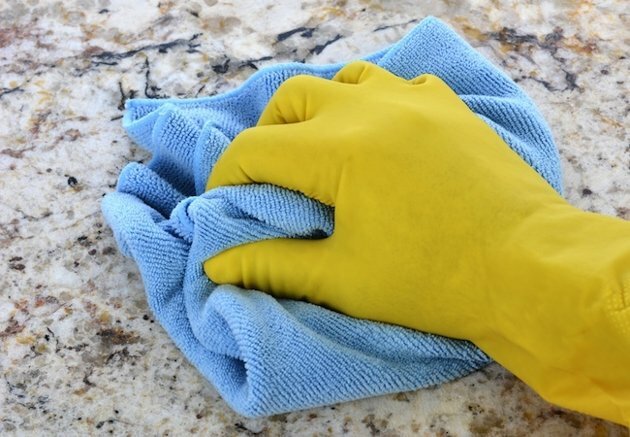 However, over time, the beauty can begin to fade if the stone is not kept cleaned properly. Nothing can beat the enigmatic appeal of a classically designed kitchen. Being one of the most important parts of the house, the kitchen deserves special attention and a creative touch to make it stand out! Whatever your style quotient is, you can always use simple design structures and components to make the beauty of your kitchen come out in full galore.